Shared Topic: What sort of Boss would you be? Next week’s Shared Topic has a more futuristic flavor as we stop to think about the effect Cataclysm will have on our gameplay as well as the game changes we’d like to see. To be part of any of the Shared Topics, stop by the forum at Blog Azeroth and take your pick from the many upcoming and past topics! Responses took on all sorts of different forms! Some bloggers wrote stories to accompany their encounter with their character, some interviewed their characters in a more formal setting, others shared the ups and downs of their day to day relationship with their alter ego. I know a couple of people mentioned they wanted to take part in the topic but were concerned about how “weird” they would sound… Trust me, the internet is a big place. There’s always someone who’ll appreciate your weirdness! And as long as it’s PG rated, new posts on the topic can be linked to in the comments! So next week, we keep working our creative sides as we explore What sort of boss we’d be. 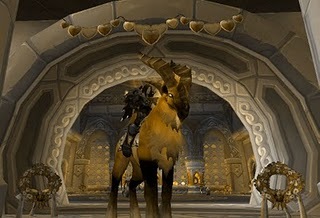 To take part in this week’s Shared Topic or in any other, check out the Shared Topic forum at Blog Azeroth! 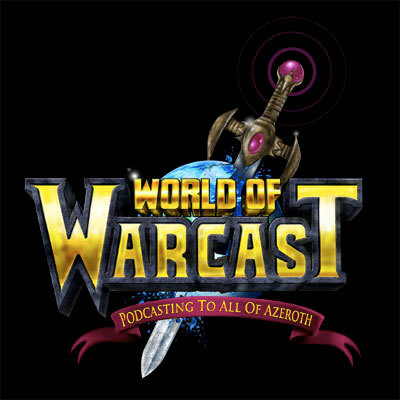 In addition to the awesome interview, we also spent time discussing, among other things, the upcoming access to the Auction House via the Armory and the whole “Ensidia gets world first.. No they don’t” affair. In the spirit of Valentine’s Day, Dristanel came up with a fantastic Secret Admirer idea! It sounds like a lot of fun and a great way to get to know some fellow bloggers! Similar to Christmas’ Kris Kringle, interested bloggers can get in touch with her to be secretly paired with another blogger. Each participant then puts up a post on their own blog regarding the event and linking to the other bloggers. The purpose of this is two-fold: exposure for the community, and something the secret admirer can respond to. Said admirer then does so under an anonymous handle, adding poetry, flattery or other warm fuzzies, giving one subtle hint about their identity in each, for a total of three comments. The first person to get back to Dristanel with a correct guess as to the identity of their admirer will win a small prize! At the end of the event, folks can make a new post with a final ‘open declaration of blog love’ for their assigned person, and of course links to the other posts if they so desire. Sign ups run until Thursday (February 10th) and the event will take place over the weekend! For more information and to sign up, you can get a hold of her at Blog Azeroth, at The Physician’s Log or via email at physicianslog at gmail dot com.